Matthew Yglesias today writes about the effect that innovation in the medical industry has on health care costs. There is a driving force in the United States to push the envelope. New drugs. New diagnostic modalities. New procedural techniques. And with the latest innovation comes a heftier price tag. At some point, the benefit of ground breaking technologies is outweighed by their prohibitive costs. In surgery specifically we are seeing this with regards to minimally invasive surgery. Robotic surgery programs are cropping up in academic centers across the country. NOTES (natural orifice transendoscopic surgery, i.e. "incisionless" surgery) has captured the attention of some surgeons and just recently, the Natural Orifice Surgery Consortium for Assessment and Research (NOSCAR) announced that the first multicenter human trial on incisionless gallbladder surgery has been approved. These developments, although exciting, are not cheap to implement (especially the million dollar Davinci robotic system). But an important consideration is omitted when enthusiasm builds for these newer surgical techniques. What value do patients derive from these innovations? Gallbladder surgery used to require an unsightly slash incision under your right ribcage. Most people would be kept in the hospital for 3-5 days. Pain was not insignificant. People would be off work for 4-6 weeks sometimes. Complications such as wound infections and hernias occured in perhaps 10% of cases. The laparoscopic innovation completely altered this paradigm. Nowadays, patients are discharged from the hospital on the same day. 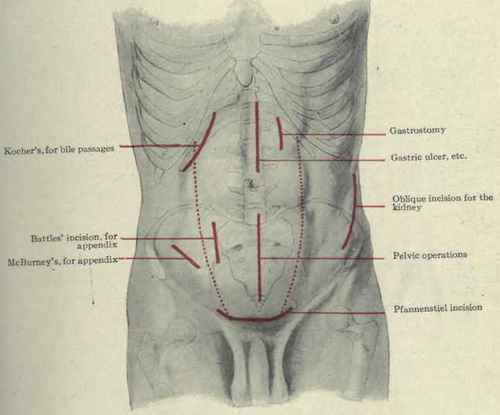 Incisions are neatly hidden in the belly button. Activity is resumed as soon as possible. Pain is negligible after a few days. In this case, the innovation has inarguably justified its increased cost. But what do you get for your incisionless cholecystectomy? You go home....maybe on the same day (but doubtful, at least at first, given how most surgeons tend to be pretty conservative when early on the learning curve). Pain perhaps could be incrementally less (proven via complicated calculus equations using some contrived Patient Vitality Pain Survey as the "data"). But hey! No incision! Looky! See how your tiny barely noticeable incisions from your primitive lap chole totally stand out and make you look hideously ugly compared to me! The current market creates strong incentives for people to develop “better and more expensive” methods of treatment, but almost no incentive to develop “as good but cheaper” methods of treatment. Both kinds of innovation, however, are extremely valuable. The world’s resources are limited, and the development of cheaper methods of treatment would allow for more overall treatment and thus better outcomes. He's absolutely right. At some point in time (like when health care in America isn't in full crisis mode) it may be advisable, even desirable, to see innovations like NOTES and robotic surgery gather momentum as acceptable alternatives to the standard of care. But we aren't there yet. And it isn't just medicine. There are lots of worthy scientific advances that lay dormant due to financial considerations. The United States certainly has the wherewithal and technical expertise right now to make a manned space flight to Mars. But the cost of such a noble endeavour would bankrupt us. The old surgeon's adage of "the enemy of good is better" is apropos here. American surgery operates pretty well as is. If we temporarily abandon costly innovations that provide only subtle benefit, I think we'll nevertheless be all right. It's not like we'll suddenly revert to the days of the surgeon-barber slapping an ether soaked rag over your face while he unsheathes his cleaver. Predictably Irrational (Arieley) has an interesting section that talks about how "market value" comes about: through comparison and "in the eye of the beholder." If we keep on seeing health care as a "market," precisely as industries see it, it would be very unlikely for us to escape such fallacy. The robotic surgery is not without its own problems - especially in patients who have underlying comorbidities and cannot tolerate the extremem trendelenberg required. Have seen a patient arrest from the strain placed on their heart and a trip to the ICU followed. I'm not sold on the robotic surgery, but we have a residency program in my institution that does almost all of a particular surgery with this. It doesn't seem to make much difference and, like noted above, can actually be more problematic because of positioning requirements. i think Single Incision Lap Surgery (SILS) should instead be the way to go. The incision is neatly hidden at the umbilicus and you achieve greater visualisation and control during the operation. Couldn't agree more. I am a gynecologist (15 yrs out of residency) now asked to learn robotic surgery. I know of no reputable non-proprietary study that shows significantly improved results with robotic surgery, yet we are inundated with patient requests for it due presumably to an active marketing campaign by the manufacturer of the robot. A recent CNN story shows a guy riding a bike who says he wanted this type of prostatectomy, which costs more than double the standard surgery, because he wanted to ride his bike a couple weeks earlier! Now, maybe two weeks of bike riding is worth $10,000, but we should at least pause and stop wondering why health care costs are rising so dramatically. In the CNN story, the quote by the urologist at the University of Kansas: "no evidence that robotic surgery is better." I guess the Intuitive Surgical, Inc. marketing representative hasn't taken him out to dinner yet!